The idea came up next as we saw the Amazon variants for different type products. On amazon page, the options button are FULL URL link and not variant of a product, this for many good reasons. Increase the page views per visitor. 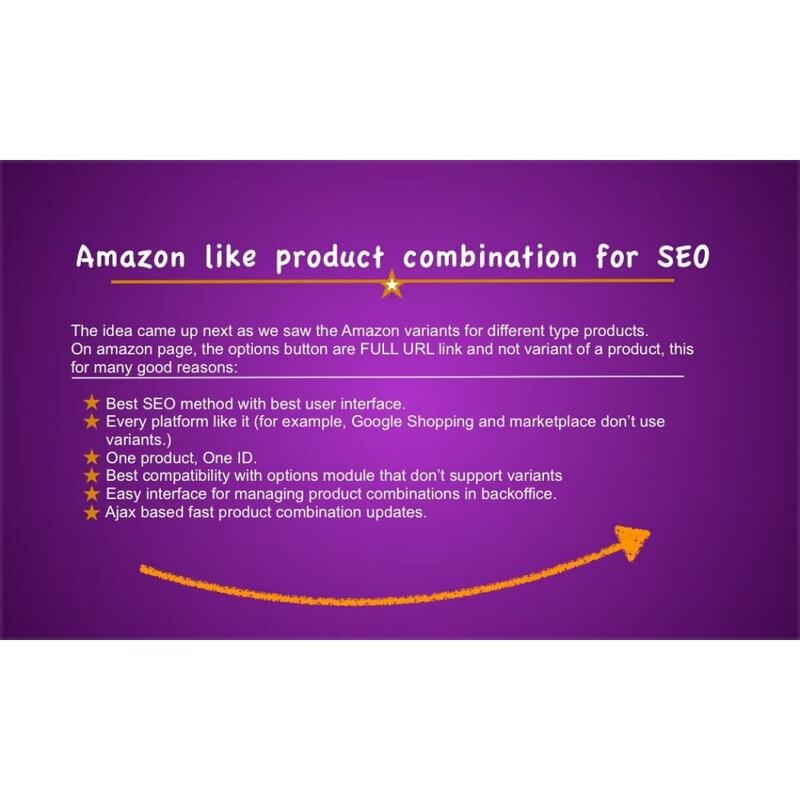 Best SEO method with best user interface. Best compatibility with options module that don’t support variants. 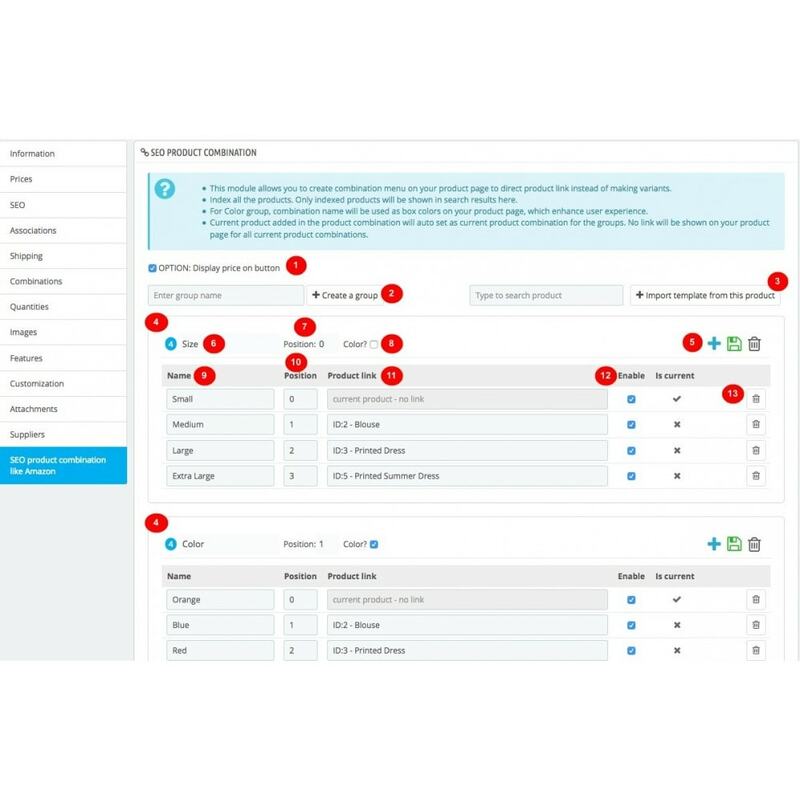 Easy interface for managing product combinations in backoffice. Import other products template to save the time in adding combinations. 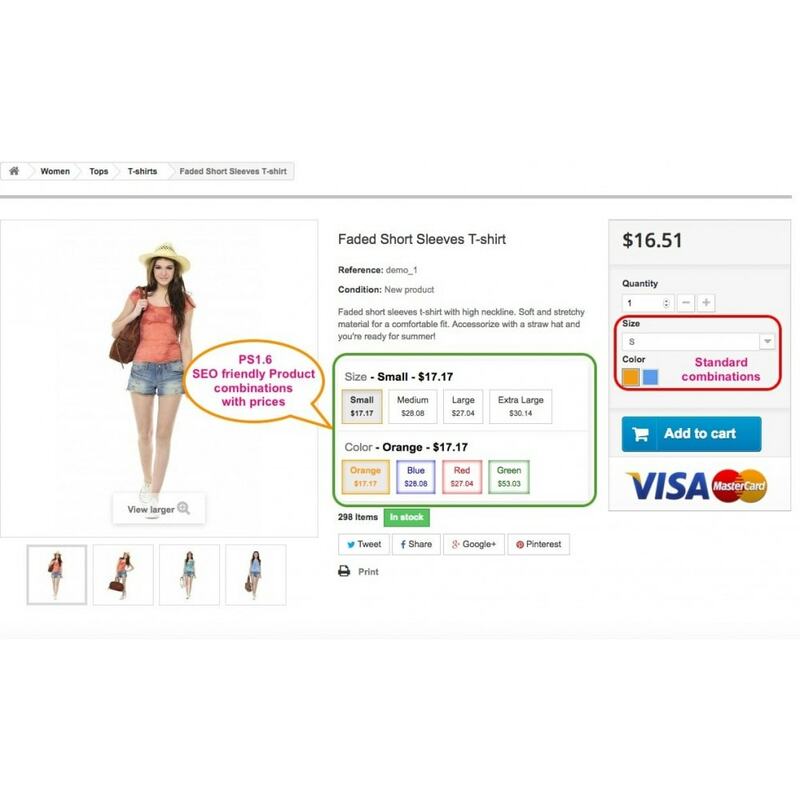 Increase products visibility on all Search engines. On mouseover on variant buttons will change the group name like Amazon. Show prices in product variant buttons (optional). 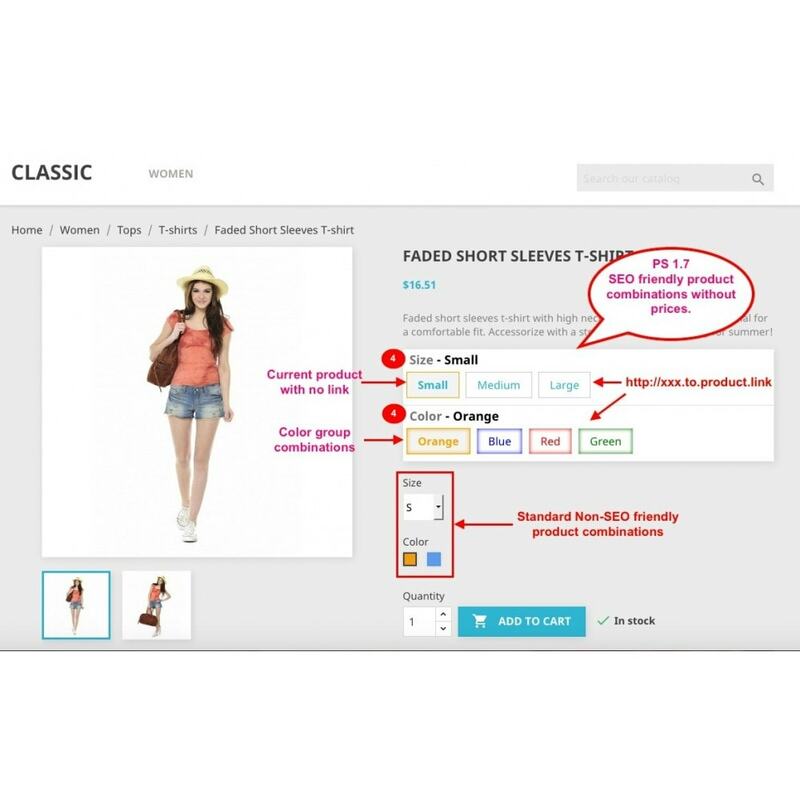 On product page, Combination box will be shown under short description for easy to reach for customers. Able to select combination group as COLOR group, so colors will be added to the product variant buttons to enhance UI. Ajax based fast product combination updates. 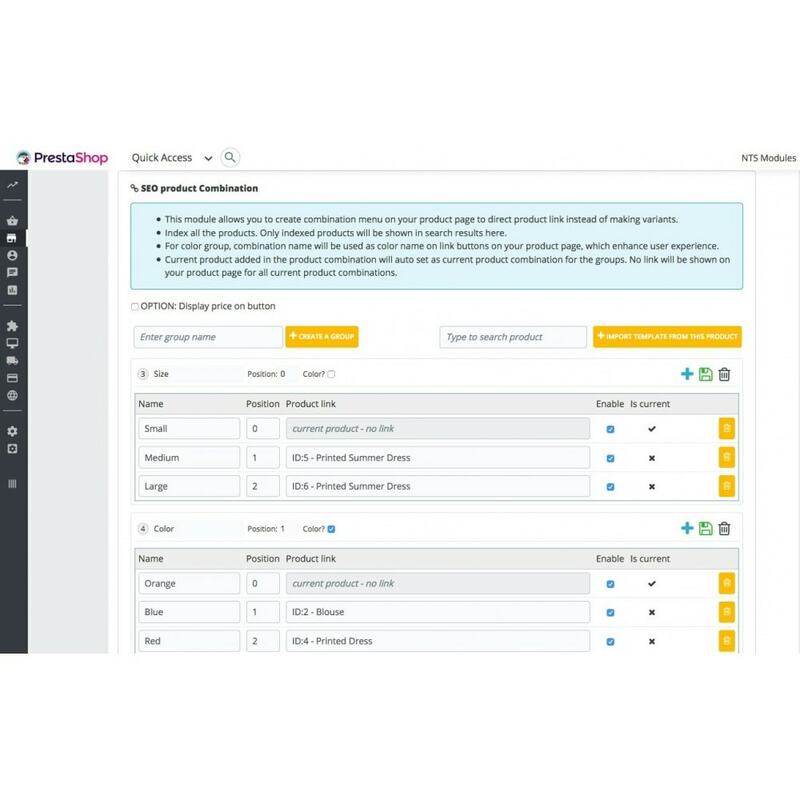 Enhance user experience to explore the product combinations. Install it by uploading the zip and configure products in backoffice. Stripe payment module now offers Pay with Google, Apple Pay, Microsoft Pay, WeChat Pay, Credit card, 3D-Secure, BITCOIN, ALIPAY, iDEAL, SOFORT, BANCONTACT, GIROPAY, Przelewy24, EPS, MULTIBANCO, SEPA Direct Debit with one Stripe account.